Vietnam: the next Asian tiger? Following a recent research visit, Niall Paul, Head of Emerging Markets, assesses the opportunities and challenges facing Vietnam. Vietnam has delivered the world’s second-fastest growth rate per person since 1990, behind only China. If it can maintain a 7% pace over the next decade, it will follow the same trajectory as former Asian tigers such as South Korea and Taiwan, which underwent rapid industrialisation to become advanced, high-income countries. Despite this fact, Vietnam is one of the cheapest markets in Asia, trading at a valuation half that of most of its larger South East Asian competitors. Source: Bloomberg. Vietnam: VN All Share Index; main bourses of other markets used. As at 25/1/17. With a strong economy and a clear reform programme, the country looks set to structurally re-rate closer to its peers. 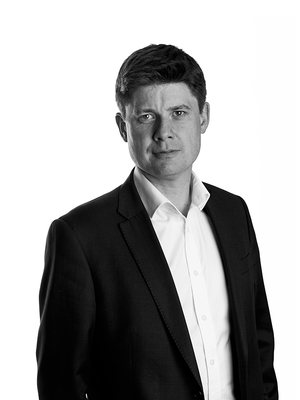 Following a recent research visit, Niall Paul, Head of Emerging Markets, assesses the opportunities and challenges facing Vietnam. Ho Chi Minh is booming. It feels like Bangkok 15 years ago, but without the unfinished construction sites that pockmarked the Thai capital following Asia’s Financial Crisis. With over 8 million residents, Ho Chi Minh is the largest city in a nation of 95 million people. These people are one of Vietnam’s greatest assets. Indeed, the country boasts some of the best demographics in Asia, with a quarter of the population less than 14 years old. Vietnam’s population is not just young but highly skilled. Public spending on education tops 6% of GDP, two percentage points more than the average for low- and middle-income countries. In global rankings, 15-year-olds in Vietnam beat those in America and Britain in maths and science. That pays dividends in a country that is looking to establish itself as a manufacturing powerhouse. Factories may be becoming more automated, but the machines still need operators. Workers must be literate, numerate and able to handle complex instructions. In addition to a highly skilled workforce, Vietnam benefits from its close proximity to China. No other country is nearer to the manufacturing heartland of southern China, with connections by land and sea. Moreover, Vietnamese wages are just one-third of those in China, and it has a vast reservoir of rural workers to help dampen wage pressures. Nearly 70% of the population still live in the countryside, compared with only 44% in China. Thus, as Chinese wages rise, Vietnam is the obvious substitute for firms moving to lower-cost production hubs, particularly if they want to maintain links back to China’s extensive supply chains. No wonder foreign direct investment in Vietnam surged 20% last year to a record $15.6bn. This is helping the country to capture market share in the global manufacturing industry. The IMF’s latest assessment of global market share showed that Vietnam enjoyed the largest gain in low end goods and the second largest gain in final electronic goods, behind only China. While Vietnam’s emergence as a major manufacturing hub would have been further catalysed by the Trans-Pacific Partnership, the failure of this trade agreement is expected to have a limited economic impact. In fact, even before Trump’s decision to withdraw from the TPP, Vietnam’s government had already been shifting its priorities towards developing closer ties with ASEAN+3 countries and North Asia. Of course, Vietnam’s bright prospects extend far beyond FDI fuelled manufacturing. It also promises a powerful domestic growth story. Household consumption dominates the economy, accounting for two-thirds of GDP. 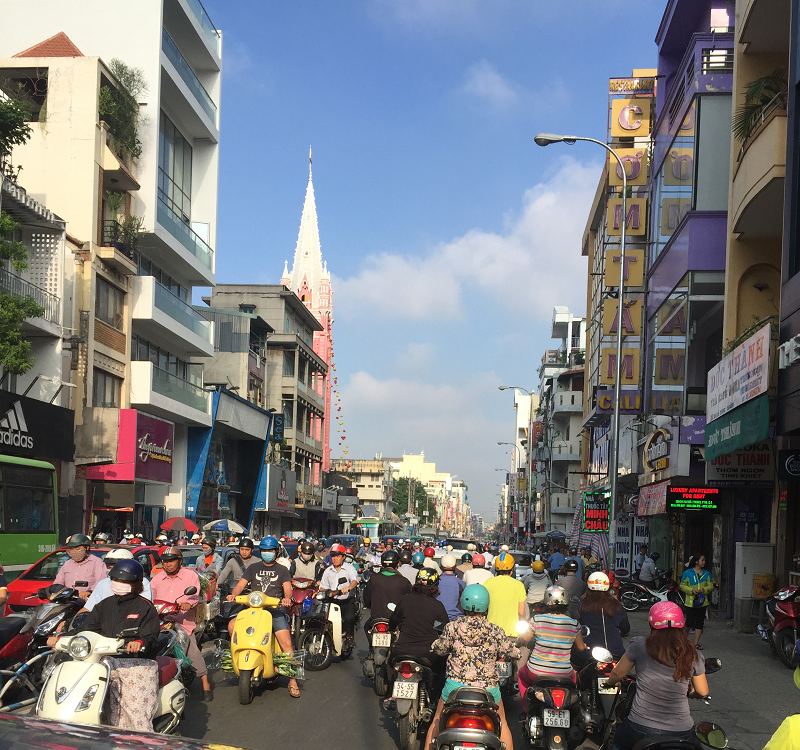 Consumer sentiment is buoyant, with retail sales rising 10% year-on-year in December and 1.6m motorbikes sold in Ho Chi Minh alone over the last six months. They were everywhere, bolstered by an army of Uber scooters ferrying passengers around. Similarly, sales of larger passenger vehicles grew 30% last year, despite a special consumption tax of at least 40%. Such impressive trends look set to accelerate as the middle class expands from 10% of the population to 50% by 2035. Against this backdrop, many sectors are extremely under-penetrated. The most obvious example is food retail, with few formal supermarkets evident in Ho Chi Minh. As consumption growth accelerates, so too does the pace of reform. One area of focus is state-owned enterprise (SOE) privatisation, which is vital to enhance productivity and inject cash into straining public coffers. Until now progress has been painfully slow. After 15 years of restructuring SOEs, only 8% of their capital has been privatised, according to official figures. However, in the past the government has mainly divested small slivers of unappealing companies. Now at last it is offering foreigners larger slices of its best assets. These include dairy company Vinamilk, as well as brewers Sabeco and Habeco. The government is also pushing for further increases in foreign shareholding limits, particularly in the banking sector, which will likely face a capital shortfall when Vietnam adopts Basel 2 regulatory rules later this year. Most corporates we met were underwhelmed on progress so far, though at a press conference the Prime Minister struck a defiant tone, stating “we want to raise the ceiling and expand access to the securities market. Right now if there are any foreign investors interested in buying any of our underperforming banks, we will sell them entirely”. The primary motive underpinning these reforms is Vietnam’s desire to be included in the MSCI Emerging Market Index. It is hoped that MSCI will announce Vietnam’s inclusion later this year, and that the country will actually enter the index in 1-2 years’ time. Inclusion is such a high priority that a dedicated team has been tasked with facilitating reforms to achieve this goal. Encouragingly, Vietnam already meets many of MSCI’s requirements. For example, a country must have a minimum of three companies with a free float of greater than 50%. Vietnam has seven. However, more needs to be done in terms of FX convertibility and ease of foreign participation in the market. Another reason for Vietnam’s focus on reform is that the government desperately needs the proceeds from its SOE equitisation drive if it is to rein in spiralling public debt. The country has a gaping fiscal deficit that exceeds 6% of GDP. Left unchecked, public debt will rise above the legal cap of 65% of GDP in 2017. The problem is compounded by SOEs, which have combined debts of $67bn. Much SOE debt is guaranteed by the state, while recent experience suggests that even when it is not, it will be assumed by the government in the event of an SOE failure. Indeed, after state-owned shipbuilder Vinashin defaulted on a $600m loan, the Ministry of Finance stepped in to guarantee a bond issuance to a group of more than 20 creditors, mostly commercial banks. Rising debt levels will only add to concerns about asset quality in a banking system that is already undercapitalised. This is a legacy of rapid credit growth following Vietnam’s entry to the World Trade Organisation, which saddled many banks with a high proportion of problem assets. Consequently, when Vietnam introduces Basel 2 regulatory rules later this year, analysts expect a capital shortfall of $6bn in the banking system. Thankfully, many of the more prescient banks have prepared by raising capital through subordinated debt issuance. Moreover, non-performing loans at the big listed banks look manageable at between 2-3%. It must also be said that risk management in Vietnam’s banking sector has generally improved, with banks now setting aside additional reserves for loans to parts of the economy that could potentially overheat such as real estate. If the real estate sector was to overheat, it wouldn’t be the first time. After it became clear that the SARS outbreak had been successfully contained, Vietnamese property prices rose rapidly from 2004 to 2007. By January 2008 inflation was running at 20%, forcing the central bank to hike interest rates from 6.5% to 15% in less than 6 months. This crushed developers’ balance sheets and sent the property market into a tailspin. During the down cycle, property related non-performing loans peaked at 50%. There were several false recoveries between 2010 and 2012, but most developers were still struggling at that stage. Then in August 2014, Capital Land re-launched a project in Ho Chi Minh called Vista Verde. It quickly sold 3,000 units and soon the market was up and running again. Today a steady stream of supply is met by robust demand, and prices are up 4.6% on last year. Though we are nearer the end of this cycle than the beginning, the long term outlook remains strong, with demand underpinned by powerful social pressure to marry and have children, as well as rising urbanisation. Vietnam currently has an urbanisation rate of 36% – the same as Thailand in 2000 – but this is expected to rise to 40% by 2020. As can be seen, Vietnam faces a number of challenges, including spiralling public debts, inefficient SOEs, and an undercapitalised banking sector. But the government clearly understands this and is taking action. Meanwhile, Vietnam’s virtues of a young and highly skilled population and its proximity to China mean it offers many structural growth opportunities, both in terms of foreign investment and domestic consumption. Consequently, we expect Vietnam to be a rich source of ideas for our Emerging Market and Asian portfolios in the future. Please take some time to read the disclaimer below. Please read the Terms & Conditions of Use below carefully. These set out the terms and conditions for accessing this Website. confirm that you are accessing this Website in compliance with the laws and regulations of the jurisdiction or country in which you are residing. If you do not accept these Terms & Conditions of Use and/or you are a retail client for the purposes of the FCA Rules, you are not permitted to access this Website. In these Terms & Conditions of Use (these “Terms”), references to “you” and “your” are references to any person using or accessing (or attempting to use or access) this Website. This Website is operated by TT International (“TT”) and the information on this Website is issued by TT both inside and outside the United Kingdom. TT is a partnership with its head office at 62 Threadneedle Street, London EC2R 8HP. TT International is authorised and regulated by the Financial Conduct Authority of the United Kingdom (the “FCA”) and appears on the FCA Register with firm reference number 170435. TT is registered as an Investment Adviser with the U.S. Securities and Exchange Commission (SEC) and is registered as a Commodity Trading Adviser (CTA) and a Commodity Pool Operator with the U.S. National Futures Association (NFA). TT International (Hong Kong) Limited, which is a subsidiary of TT, is licensed by the Hong Kong Securities and Futures Commission (SFC) to provide services to "professional investors" defined in the Securities and Futures Ordinance and its subsidiary legislation. (ii) a restricted private area which contains specific information about both unregulated alternative funds and the UCITS funds, offered by TT (together, the “Funds”). In these Terms, this area is referred to as the “Private Area”. In order to access the General Area, you must first confirm (i) that you are a professional client or an eligible counterparty for the purposes of the FCA Rules, (ii) your acceptance of these Terms, and (iii) that you are accessing this Website in compliance with the laws and regulations of the jurisdiction or country in which you are residing. Once you have accessed the General Area, you may then register to access information in the Private Area. To do so, you must first provide certain information to allow TT to assess your eligibility to access information about the Funds. Users who TT considers, in its absolute discretion, eligible to receive access to the Private Area will be provided with a username and password in accordance with Clause 11 of these Terms. No persons other than those who have been provided with a username and password by TT should attempt to gain access to the Private Area. The distribution of the information contained on this Website in certain jurisdictions may be restricted by law and persons who access it are required to inform themselves of, and to comply with, any such restrictions. This Website, and the information contained on it, is directed only at persons in any jurisdiction or country where such access to, and use of, the information contained on this Website is not contrary to local law or regulation. The Funds referred to on this Website are not available, and prospectuses and other offering materials in respect of them will not be distributed, to any person resident in the territory of any jurisdiction where such distribution would be contrary to local law or regulation. The information on this Website does not constitute an offer or solicitation in any jurisdiction in which such an offer or solicitation is not authorised or to any person to whom it is unlawful to make such an offer or solicitation. Prospective investors in the Funds should inform themselves as to applicable legal and regulatory requirements (including in relation to exchange controls and taxation) in the countries of their citizenship, residence or domicile. TT and its partners disclaim all responsibility if you access or download any information from this Website in breach of any law or regulation of the jurisdiction or country of which you are a citizen or in which you are residing or domiciled. The terms of investment in any Fund are governed by the documents establishing such terms. In the event of any inconsistency between the information on this Website and the terms specified in, or established pursuant to, the documents establishing the terms of issue or contract, the terms so specified or determined shall prevail. An application for shares or interests in any of the Funds should only be made having read fully the relevant prospectus and other offering information for the relevant Fund. It is your responsibility to use such documentation and by making an application you will be deemed to represent that you have read such applicable documentation and agree to be bound by its contents. Information available on this Website may constitute a financial promotion for the purposes of the FCA Rules. The information contained on this Website (including any expression of opinion or forecast) has been obtained from, or is based on, sources believed by TT to be reliable, but is not guaranteed or warranted as to its current validity, accuracy or completeness. Such information is provided without obligation on the part of TT, its partners or employees, and on the understanding that any person who acts upon it or changes his investment position in reliance on it does so entirely at his own risk. Opinions expressed represent the opinions of TT at the date of publication only, reflecting prevailing market conditions and certain assumptions (which may not prove to be valid), and are subject to change. Information posted on this Website is current only as at the date it is first posted and may no longer be true or complete when viewed by you. All information contained on this Website may be changed or amended without prior notice. TT, its partners and/or its employees may have holdings in the Funds and may otherwise be interested in transactions that you effect in those Funds. This Website is published solely for informational purposes on the basis that you make your own investment decisions. This Website has no regard to the specific investment objectives, financial situation or particular needs of any person. The information contained on this Website is not intended to constitute, and should not be construed as, a personal recommendation or investment advice. Potential investors in the Funds should seek their own independent financial advice. TT neither provides investment advice to, nor receives and transmits orders from, investors in the Funds nor does it carry on any other activities with or for such investors that constitute "MiFID or equivalent third country business" for the purposes of the FCA Rules. Investment in the Funds and other investments referred to on this Website involves risk. The value of investments and the income deriving from them may go down as well as up. You may not get back the original amount invested and may lose all of your investment. To the extent that this Website contains any indications as to future performance, such forecasts are not a reliable indicator of future performance. Exchange rates may cause the value of overseas investments and the income deriving from them to rise and fall. Tax assumptions may change if the law changes and the tax treatment applicable to you will depend on your individual circumstances and may be subject to change in the future. You should consult your own tax adviser in order to understand the tax consequences of an investment in a Fund. The risk factors set out above are not complete and you must refer to the relevant offering documents with respect to the risks attaching to investment in individual Funds. The UCITS Funds may be registered or otherwise approved for distribution to the public in one or more European jurisdictions. The fact of such a registration or approval, however, does not mean that any regulator has determined that such UCITS Fund is suitable for all investors. Investors should continue to consider the terms of investment in any such UCITS Fund carefully and seek professional investment advice before taking any decision to invest in a UCITS Fund. Where this Website refers to a UCITS Fund, this Website will also provide details of where and in which languages the prospectus and key investor information document, as they may be amended from time to time, may be obtained or how such documents may be accessed. The distribution of shares of a UCITS Fund in Switzerland will be exclusively made to, and directed at, qualified investors (the "Qualified Investors"), as defined in the Swiss Collective Investment Schemes Act of 23 June 2006, as amended ("CISA") and its implementing ordinance. The Funds are not offered or sold to the public in the United States. TT will provide access to the Private Area to “U.S. persons”, as defined in Regulation S under the U.S. Securities Act of 1933, as amended, only if permitted to do so under U.S. federal and state securities laws. TT will provide access to the Private Area to persons that are not “Non-United States persons” as defined in Rule 4.7 of the U.S. Commodity Futures Trading Commission only if permitted to do so by the rules of the Commission. In order to obtain access to the Private Area, “U.S. persons” and persons that are not “Non-United States persons”, each as so defined, will be required to provide TT with written assurances for purposes of compliance with U.S. law. For additional information, please contact TT according to the procedure specified in Clause 19 of these Terms. 10.9 to introduce viruses, worms, harmful codes and/or Trojan horses onto the internet or into this Website or any other entity’s systems and it is your responsibility to ensure that whatever you download or select for your use from this Website is free from such items. When using this Website, you must comply with all applicable local, national and international laws and regulations, including those related to data privacy, international communications and exportation of technical or personal data. It may be illegal to download the information contained on this Website in certain countries and TT, its partners, employees, associates and affiliates disclaim all responsibility if you download any information from this Website in breach of any law or regulation of the country in which you reside. In order to access the Private Area, you must first apply for a username and password through this Website. TT may contact you in connection with your application to access the Private Area as part of the process of establishing your eligibility to access that part of this Website. You are responsible for ensuring that any information that you provide to TT as part of the eligibility check is accurate and kept up to date at all times. Any changes to the information provided to TT must be notified to TT immediately. (D) agree to notify TT immediately if you suspect unauthorised use of this Website or of your username and/or password. TT may revoke access to the Private Area in its absolute discretion at any time without notice. TT reserves the right to deny you access to this Website, or immediately to suspend or terminate your access to this Website, or to disable any username or password (whether chosen by you or allocated by us) at any time if your use of this Website (in the sole discretion of TT) in any manner breaches these Terms or for any other reason. The entire contents of this Website are subject to copyright with all rights reserved. You may download or print individual sections of this Website for your personal use and information only provided that you retain all copyright and other proprietary notices. You may not reproduce (in whole or in part), transmit (by electronic means or otherwise), modify, link into or use for any public or commercial purpose this Website without the prior written permission of TT. Nothing on this Website should be construed as granting any licence or right in relation to any of the trademarks of TT or those of its associates or affiliates or any third party. This Website may be linked to third party websites or contain information provided by third parties. Neither TT nor its partners or employees make any representation as to the accuracy or completeness of such websites or information. TT has not and will not review or update such websites or information and cautions you that any use made of such websites or information is at your own risk. TT and its partners and employees do not accept any liability arising out of the information contained on any linked website or information on this Website provided by a third party and the use of such sites and information is at your own risk. Access to this Website is permitted on a temporary basis and TT reserves the right to withdraw or amend the service provided on this Website without notice. TT and its partners and employees do not accept any liability if, for any reason, this Website is unavailable at any time or for any period. No representation, warranty or undertaking is given as to the accuracy or completeness of the information contained on this Website by TT, its partners, employees or any of its associates or affiliates and no liability is accepted by such persons for the accuracy or completeness of such information. In no event will TT, its partners, employees or any of its associates or affiliates be liable to any person (including, for the avoidance of doubt, persons who are accessing this Website in compliance with these Terms and those who are not as well as any persons who may be informed of the contents of this Website) for any direct, indirect, special or consequential damages arising out of any use of the information contained on this Website, or on any other hyper-linked site, including, without limitation, any lost profits, business interruption, loss of programs or data on your equipment, or otherwise, even if TT is expressly advised of the possibility or likelihood of such damages. The information, except as otherwise stated, on this Website has been prepared, approved and issued by TT and the information and opinions contained on this Website have been compiled, or arrived at, in good faith and on the basis of publicly available information, internally developed data and sources believed to be reliable as at the date of publication. However, to the extent permitted by law, TT, its partners, employees, associates and affiliates hereby expressly exclude all conditions, warranties, representations and other terms which might otherwise be implied by statute, common law or the law of equity and any liability for any direct, indirect or consequential loss or damage of any kind incurred by any user in connection with this Website or in reliance on the information or opinions contained on it, or in connection with the use, inability to use, or results of the use of this Website or any websites linked to it or materials posted on it. This does not affect the liability of any person for any loss or damage which cannot be excluded or limited under applicable law. The internet is not a completely reliable transmission medium and neither TT, its partners, employees or any of its affiliates or associates accepts any liability for any data transmission errors such as data loss or damage or alteration of any kind or for the security or confidentiality of information transmitted across the internet to or from TT or any of its associates or affiliates. Any such transmission of information is entirely at your own risk. Nothing in these Terms is intended to exclude or restrict any duty or liability that (i) TT has to its customers under the "regulatory system" in the United Kingdom (as such term is defined in the FCA Rules); (ii) may arise under U.S. federal or state securities laws; or (iii) otherwise may not be excluded or restricted as a matter of applicable law. TT takes the privacy of any personal information you may provide to it through this Website seriously. A "cookie" is a piece of information that is saved to your computer's hard disk by the web server. Cookies do not contain any personal information about you and cannot be used to identify any individual user. Confirmation of reading and accepting these Terms will place a cookie on your computer's hard disk. This will facilitate your navigation of this Website by not showing these Terms again during this browser session. It will also allow TT to record your visit and may be used to evaluate users’ use of this Website and to compile statistical reports on Website activity for TT. This cookie will remain on your computer unless it is removed or you set your browser not to accept cookies, however, if you do this, you may not be able to use the full range of services available on this Website. To find out more about cookies including how to control and delete them visit www.aboutcookies.org. TT collects certain personal information about you such as your name, address, telephone number, email address details and other information when it is voluntarily submitted to TT on this Website, including in connection with its registration procedures for access to the Private Area. TT uses this information to ensure compliance with its obligations under the UK regulatory regime, the General Data Protection Regulation, any other relevant data privacy regulations and for its own internal purposes. Please note that by submitting personal information you are consenting to such information being processed for the purposes referred to above. You also agree that TT has the right to use and store such data on its internal systems and to transfer it to its associates and affiliates, whether inside or outside the European Union, for the purpose of providing services to you. You should also be aware that the level of protection in relation to the processing of personal data may not be the same in countries outside the European Union as in the United Kingdom. For more information on how TT will use your personal information, please see the relevant Privacy Notice found here. This Website is established in England by TT in accordance with, and these Terms and any non-contractual obligations arising from or connected with them shall be governed by, English law and these Terms shall be construed in accordance with English law. A condition of using this Website is that in the event of any dispute or proceeding you irrevocably submit to the exclusive jurisdiction of the English Courts and waive any objection to proceedings in such courts on the grounds of venue or on the grounds that the proceedings have been brought in an inconvenient forum. TT may revise these Terms at any time and the current version of these Terms may be viewed at any time through this Website, please see the Legal Notice. You are expected to review these Terms from time to time to take notice of any changes TT makes, as they are binding on you. If any provision of these Terms is held by any court or competent authority to be illegal, void, invalid or unenforceable under the laws of any jurisdiction, the legality, validity and enforceability of the remainder of these Terms in that jurisdiction shall not be affected and the legality, validity and enforceability of the whole of these Terms in any other jurisdictions shall not be affected. Each time you use this Website, a condition of use is that you comply with these Terms. You can contact TT at: T: +44 20 7509 1000, F: +44 20 7509 1289, or by email to info@ttint.com.